On this private and personalised experience, explore Madrid to discover the city’s Christmas traditions and get into the festive spirit like the locals do! Soak up the atmosphere of the festive season as you stroll through the heart of the city with your Local Host while its lit up with glittering colourful lights, see the classic Nativity scenes and extravagantly decorated trees and browse the Christmas markets. Discover what Madrid’s festive traditions are as you explore the markets in Plaza Mayor, wandering through the stalls to hear about the Tree Kings Day celebration from your local and picking up some traditional decorations to take home for your own tree. 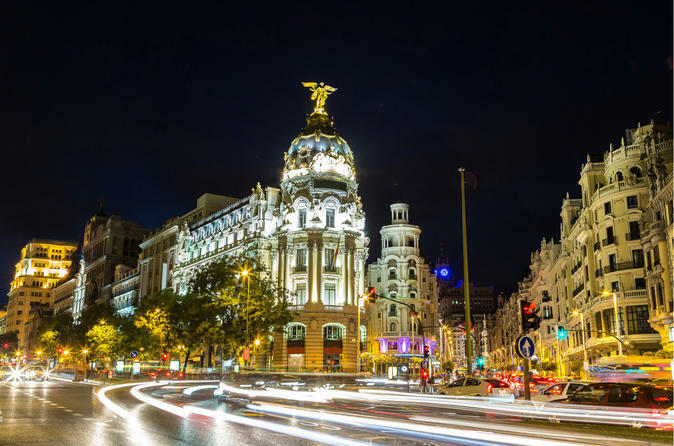 See Madrid’s beautifully decorated churches, plazas and streets, indulge in classic festive treats and do a little Christmas shopping - you’ll be in the festive spirit in no time! Join a like-minded Local Host to explore the most festive parts of the city as they’re decorated with hundreds of colourful lights, and soak up the festive atmosphere as you wander through the historic streets. See the most famous Nativity scenes, which are a traditional local part of Christmas celebrations, like the Nativity at Madrid’s Royal Palace as well as discovering smaller Nativities in a historic church that your Local Host will take you to. Visit the biggest Christmas market at Plaza Mayor, or explore smaller, local markets outside of the city centre, and you’ll discover traditional decorations and gourmet gifts. Indulge in some festive treats and maybe pick up some special gifts for your loved ones or buy some unique tree decorations so you can add a little of the Spanish style Christmas to your own tree or Nativity scene at home. Learn about local Christmas traditions from your Local Host as you wander through the market together, and snack on some festive sweets.